Stewart Denholtz is a highly skilled, knowledgeable and easy to work with Florida real estate professional with more than twenty-five years of diverse industry experience. Stewart has been a Palm Beach County resident since 1991. Stewart began his real estate career in New Jersey in 1986. Upon relocating to Florida, for twenty years he was the President of a fully integrated real estate development, investment and management company based in the Palm Beaches. He was responsible for leading the acquisition, financing, sales, marketing, management and construction teams which resulted in the substantial growth of an extensive Denholtz Associates portfolio throughout Florida. This wide-range of experience directly benefits his clients in many ways. He is savvy in every aspect of buying, selling and investing in Florida real estate. Stewart pursued a personal interest and founded a business in the sports world in 2012. He has returned to his long-standing real estate career reinvigorated as a driven, hard working residential REALTOR®. He is a seasoned professional with the mission to use his abilities to provide outstanding service and obtain excellent results for his highly valued clients. Stewart’s negotiating skills, communications and follow-up are outstanding. He has a wide-range of expertise from waterfront properties, golf club communities, luxury condominiums, townhomes, master planned communities and property renovations. Stewart specializes in assisting both buyers and sellers with residential sales and leasing in Palm Beach County. He is known for high quality, far-reaching marketing efforts and attention to detail. Exceptional and widespread marketing ensures that every home is presented in its best light and stands out from other similar properties on the market. 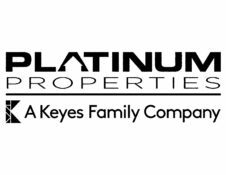 Platinum Properties, A Keyes Family Company and Stewart are utilizing industry leading technology which provides sellers and buyers with unsurpassed global internet exposure that reaches qualified buyers worldwide and readily identifies local properties. This technology is helpful to his clients in many respects and also facilitates seamless transactions. Stewart’s depth of experience gives him a maturity and confidence which serves his client’s well. Relationships Matter is Stewart’s motto: his approach to real estate is personal and professional.